Fentanyl citrate injection is a potent narcotic analgesic and an opioid. It is said to be 100 times more potent than morphine and 1000 times more potent than pethidine. It causes profound analgesia and sedation in a dose of 0.1 mg intramuscular. Like other narcotic analgesics it causes respiratory depression and is dose related but the duration of respiratory depression is usually shorter than that of morphine. Fentanyl is an opioid that produces some rigidity of respiratory muscles. Respiratory depression caused by fentanyl can be satisfactorily treated with naloxone. Fentanyl causes less nausea and vomiting than other narcotics. It usually does not cause histamine release. It may cause euphoria. Bradycardia from vagal stimulation may occur. Laryngospasm and even bronchospasm may be seen. Cardiovascular stability is more or less maintained in usual clinical doses. The dose of the fentanyl in premedication is usually 0.05 to 0.1 mg intramuscularly. The drug is also used along with droperidol lo produce neuroleptanalgesia. During anesthesia 0.1 to 0.2 mg can be given i.v. slowly. As its duration of action is relatively short, it can be used as i.v. 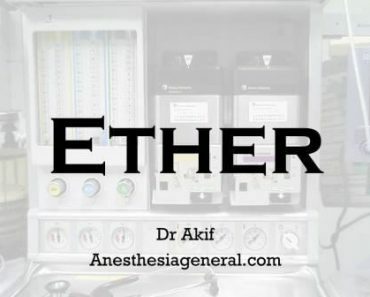 adjunct to inhalational anesthesia. Fentanyl is mostly metabolized in liver and excreted through urine and feces. The drug should be cautiously used in patients with MAO inhibitors and also in patients with chronic obstructive lung disease and head injury.